The simple days of knowing how fast your smartphone is by its processor speed are already over. 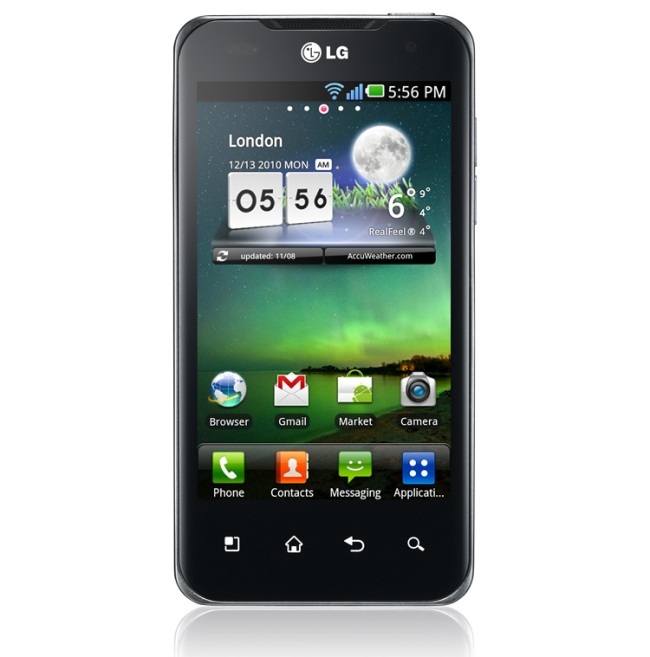 Today, LG unveiled the Optimus 2X, which it claims is the first smartphone with a dual-core processor. The phone runs on Android and uses Nvidia’s new 1 GHz dual-core Tegra2 processor, allowing 1080p video recording and playback. LG claims the phone has almost no screen lag. Other features include a 4-inch screen, 8 GB of internal memory, an 8 MP camera, 1.3 Megapixel front-facing camera, an accelerometer, a gyro sensor, and Android 2.2 (it will get the 2.3 update soon). The Optimus 2X is likely the first in a flood of dual-core smartphones that should start coming in 2011. Nokia, RIM, and Samsung have announced plans for dual-core phones as well. The Optimus 2X will launch in Korea this January, followed by several countries in Europe and Asia. No U.S. pricing or release date has been given, as the company likely tries to secure a subsidy deal with North American wireless carriers. UPDATE: As one of our readers astutely pointed out, Nokia’s N82 Series 60 phone, released in 2007, may be the first dual-core phone. It featured a Dual ARM 11 332 MHz processor. Is it time for the government to rein in Google? The LG G8 ThinQ and LG V50 ThinQ are both excellent phones with a lot to offer. Both devices offer improved specs, a modern design, and more. Here's everything you need to know about buying the LG G8 ThinQ and LG V50 ThinQ.